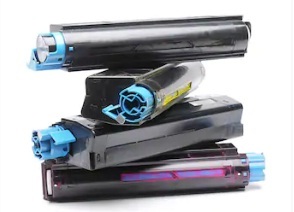 Majority of the OEM (original equipment manufacturers) cartridges warns the buyers about re-manufacturing toner products as they make the products themselves. This is not surprising.Replacing OEM cartridges with re-manufactured ones have major benefits, one of which includes major savings. Everyone is always looking for a way to reduce their expenses. In case of a business, it is inevitable.If you are operating in a place like Vancouver, it is important to balance out the expenditure as much as you can. 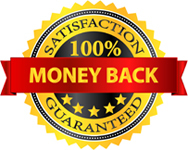 One of the best ways to do so is by introducing re-manufactured cartridges. Here are four top reasons why you should opt for a toner cartridge re-manufacturing service in Vancouver. Re-manufactured cartridges costs significantly lesser than OEM toner. Even though the amount of cost that you save depends on the chosen vendor, expect at least 30-60% savings. Additionally, you also receive huge discounts if bought on a bulk, which lowers down the cost even further. So basically, you get top-quality toners at a low price. This is only a win-win situation for any organization. A re-manufactured cartridge that is of good quality will provide the same standard of print as their OEM counterparts. The re-manufacturers usually remove the parts of the cartridges that are movable and wearable and refill them. The reproduced cartridges also come with new drums and in some cases exactly the same toners. When you purchase re-manufactured cartridges from a reliable source including office supply vendor, the quality is guaranteed. Since they test the products rigorously the print quality, cartridge yield and the actual cartridges itself can be guaranteed. The cartridge re-manufacturers use the cartridges that did not make it to the landfills to produce their products.This also applies to the ones that were returned or sold. This makes more sense how re-manufacturing helps the environment. According to recent survey it was found that re-manufacturing toners help keep 3 pounds worth of waste out of the landfills while saving us 3 quarters of oil. Additionally, you can reduce carbon footprint buy not purchasing the manufactured cartridges that are shipped through trucks and air from a great distance. When you can easily lower your consumable costs, you have spare cash to invest it in upgrades and better equipment. If you want smaller laser printers with higher cost per pages, more savings from toner cartridge re-manufacturing service helps in the transition. You may need to work with a diverse range of printing technologies and manufacturers. Majority of these consumables can be re-manufactured.